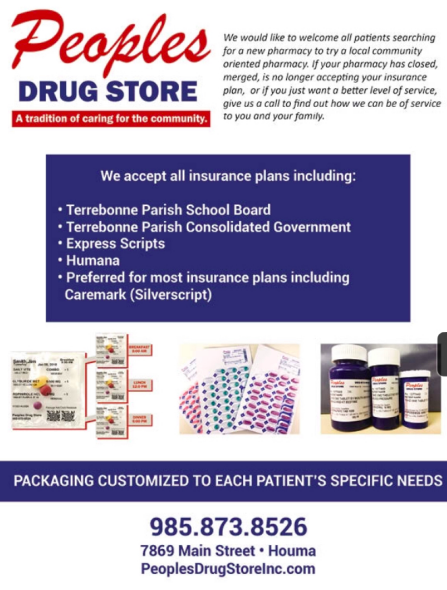 We've been serving the community of Houma since 1939. Our pharmacists have 100 years of combined pharmaceutical experience and our friendly staff will treat you like family. Here at Peoples Drug Store, Inc., we are dedicated to providing our customers with services that are customized to meet their needs. Whether it’s prescription medications or over the counter products, we are here to answer any and all of your questions. If you haven't taken advantage of one of our many services, call or stop by and see us today! We Are The Nursing Home Specialists! Here at Peoples Drug Store, we treat your family like our family! We offer delivery to all nursing homes in the South Louisiana area. We also offer specialty packaging for our patients to keep track of their prescribed medications! Call us for more details or to set up a delivery! 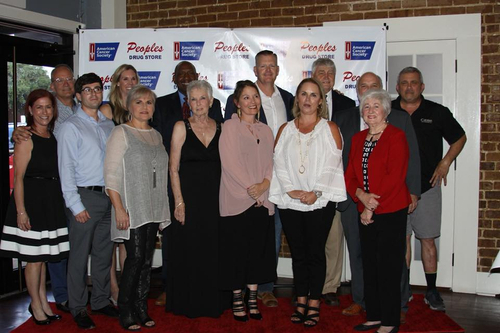 Peoples Drug Store is a proud supporter of our community. If you are looking for a donation or sponsorship, please fill out this form and return to the address listed. Thank you!